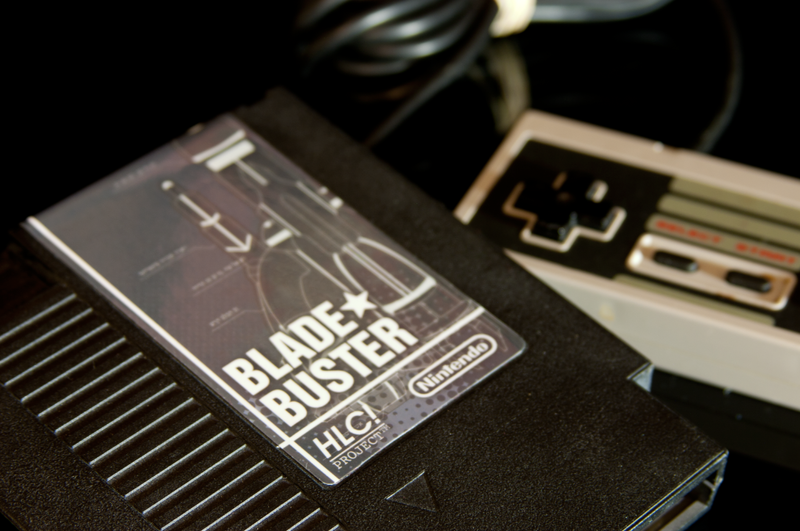 Blade Buster is a BRILLIANT homebrew Famicom/NES game from HLC Project. They wrung every drop of graphical performance out of the ancient console for a shootemup experience that's as smooth and fast as anything you'll see on a 16-bit console. Along with the legendary Recca and Crisis Force I rank Blade Buster as one of the three greatest shmup triumphs on the system. You may notice that Blade Buster recreates the Stage 1 theme from Super Star Soldier. The level design is also highly reminiscent of Hudson's Soldier series, though as far as I know the layout is unique. It doesn't have the same length as Recca and Crisis Force but it isn't intended to--Blade Buster is a lovingly created ode to the days of Hudson's Summer Caravan competitions, in which children were expected to master that year's selected game and outperform their opponents in 2-minute and 5-minute score challenges (Recca was actually part of Naxat Soft's "Summer Carnival" competition and had the same short caravan style challenges, but also included a full-length game of its own). Later years saw Bomberman and even sports game challenges from Hudson, but in the late 80s/early 90s shooting games ruled the damn world. For the label design, I decided on a technical looking diagram of the ship you pilot in-game, based off the actual graphics. It's okay. The way I really wanted to make it pop was by repainting the cartridge. You wouldn't think it would have worked but it did! I used Krylon Fusion paint made specifically for plastics, and put on several light layers until it was solid black. Keeping the coats thin makes it look like the cart was always black and not just covered in paint. Very durable too, I haven't scuffed it yet. Unfortunately! I later translated the website for HLC Project and saw that the developer was understandably particular about way the logo was done when making custom labels and repro carts. Obviously my minimal white text logo is inaccurate to the in-game logo, and I'm kind of bummed. Not bummed enough to do a new logo, but maybe someday. 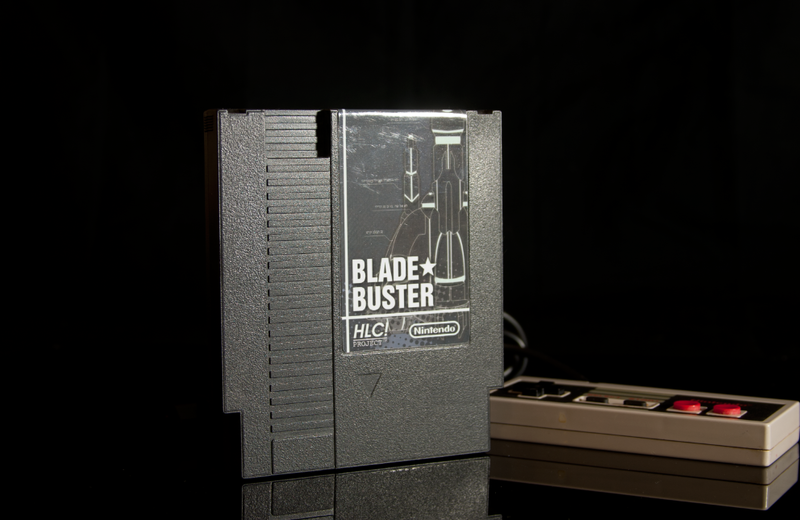 Download Blade Buster from HLC Project right here!